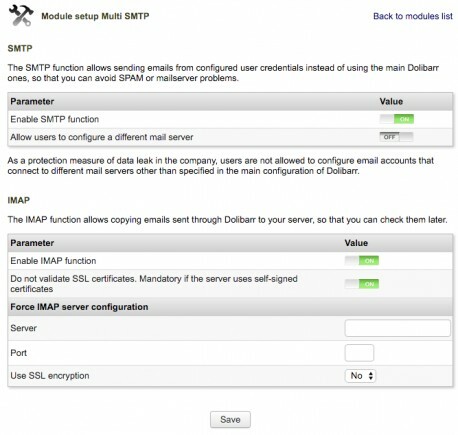 This module allows users set their professional email account and send every email in Dolibarr using their email credentials and also allows copying several emails sent from Dolibarr to their mail server through IMAP protocol. You can find the user manual in "Manual en_US.pdf" file. 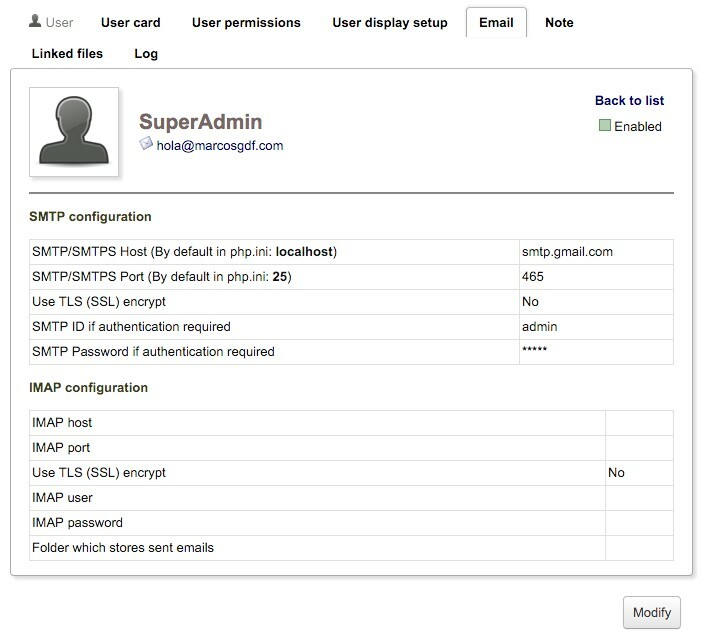 - Fixed a problem that prevented from showing up IMAP folders to the user. 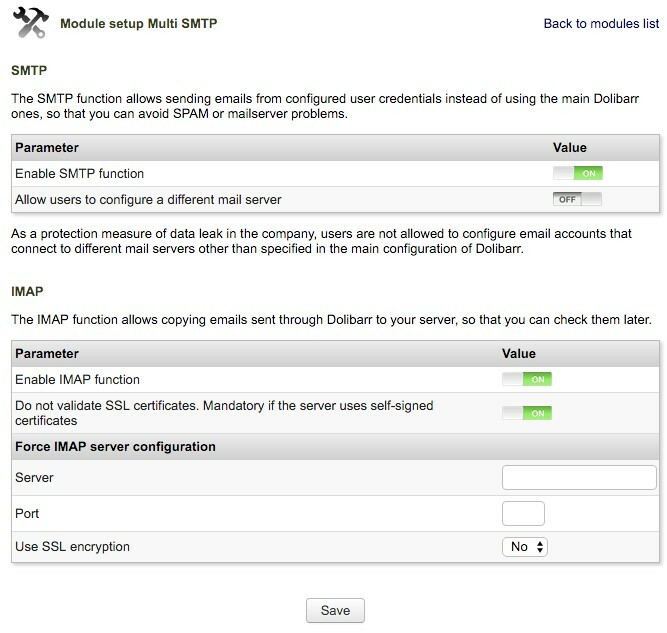 - Reduced IMAP connection timeouts and changed the way users select their IMAP mailbox folder.